Here you will find exterior painting cost, from an Exterior Painting Contractor in Jacksonville. Each home and it's specifics are different. Jacksonville exterior painting projects vary in duration; some can be two day projects, while others as long as two months or more; depending on the size and several other factors specific to your exterior project. 1. Texture: Can be a "Smooth", flat finish, or the common “Rough” texture, or even Dryvit; a Synthetic Stucco. Then there is wood, brick and many types of siding. 2. Height: This ranges from 8′. 10′, 14′ and then 2nd stories and the few 3rd story homes in North east Florida. Costs go up with extreme height. 3. Accessibility: What degree of difficulty will exterior painters have accessing the surfaces of the home for exterior painting? A few examples would be; foliage, height, power lines, uneven ground, etc. Most homes in Jacksonville Florida range from 1,200 square feet to 3,500. A general breakdown below gives some indication of exterior painting costs in Jacksonville, FL. 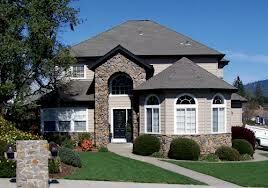 Pro Color Painting has performed exterior painting and waterproofing on homes as big as 18,000 sq. ft. and just recently a 10,000 sq. ft. in the Ortega area. As you can imagine, special pricing and certain considerations go into major exterior painting projects such as these. Warranties, grade of paint directed in the scope, etc. Pro Color Painting's vision is to be the top exterior painting contractor in the industry! Accomplishing this through innovation, continuous quality improvement and by providing exterior painting services to satisfy the needs and exceed the expectations of our customers, employees and the community.